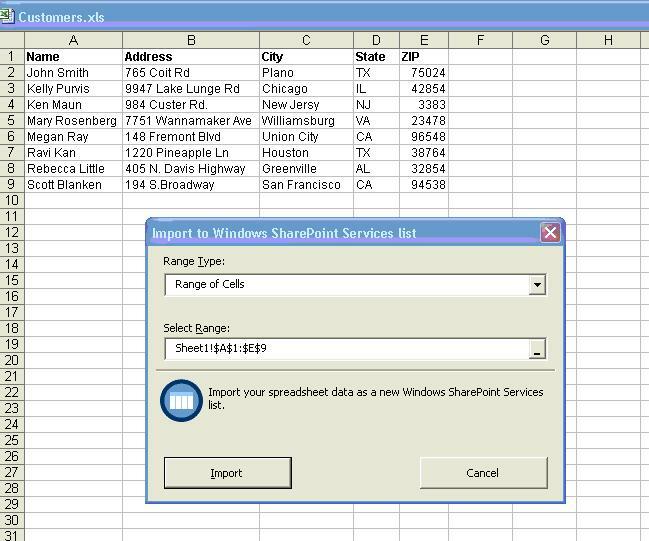 As we know, most of us will manage our information by using Excel Spreadsheets. 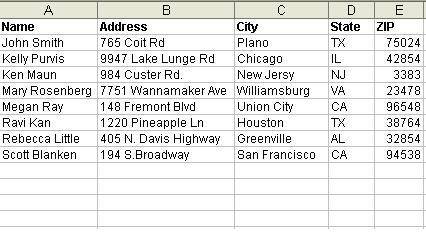 I agree this is most easy and convenient way to manage the information in excel file. Most of the organizations are now using the SharePoint environment for team collaboration and using the SharePoint to manage the document repository, Information lists, and Issues/Risks logs etc. Managing the information list on SharePoint is not different from managing excel content on your desktop. Believe me, it�s simple. I am presenting the mechanism here, so you can manage your excel content on SharePoint. The advantage of doing this, you can have your information on centralized location and can be shared the info through web browser. You have to specify the Range Type; Range and click on "Import"